Yes, You Really DO Have to Shower! You are here: Home / Random Thoughts / Yes, You Really DO Have to Shower! Gah! What is it with 8 year olds and bathing? I mean, I get the whole, “I don’t want you to see me naked thing” – but at the same time, I don’t really want to be smelling you before you even walk through my door, either! My 8 year old hates . . . and I mean hates the idea of having a bath or shower. 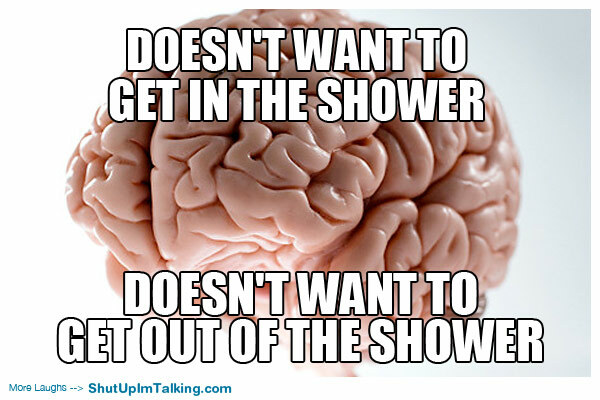 All I hear is “I HATE having a shower!”, “I’m NOT washing!”, etc. His newest avoidance tactic is to deliberately get into trouble and be sent to bed before I realize he hasn’t bathed. And as much as I hate to admit it, he’s been pretty successful in his efforts thus far. Until today. No, today, he was marched to the shower the moment he walked in the door from school. There was a great deal of complaining, whining, and more than a few tears. Finally, I pulled myself together, laid on the mother guilt trip, and into the shower he went. Yes, that boy was happier than I’ve seen him all week. He was laughing and singing and playing in the water without a care in the world. Until I reminded him that he needed to use some soap. And have his hair washed. I’m such a killjoy. No wonder my kids don’t like me. I gave him a good, solid 30 minutes in the shower before reminding him that he would have to get out soon before we ran out of hot water. He was not particularly appreciative of my suggestion. Finally he emerged, wrapped in his towel with a scowl on his face. “You NEVER let me shower” he hissed as he stomped off to find his robe. Oh well. At least he’s clean. 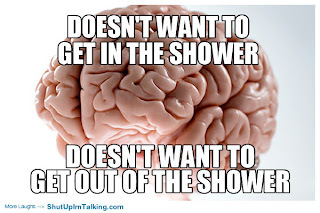 Cheryl Talma – Author: Yes, You Really DO Have to Shower! How about you? Do you have kids who hate to bath/shower? What strategies do you use to promote personal hygiene? I’d love some tips!